May 2, 2015 - TheUrbanMusicScene.com | Concerts & Festivals! 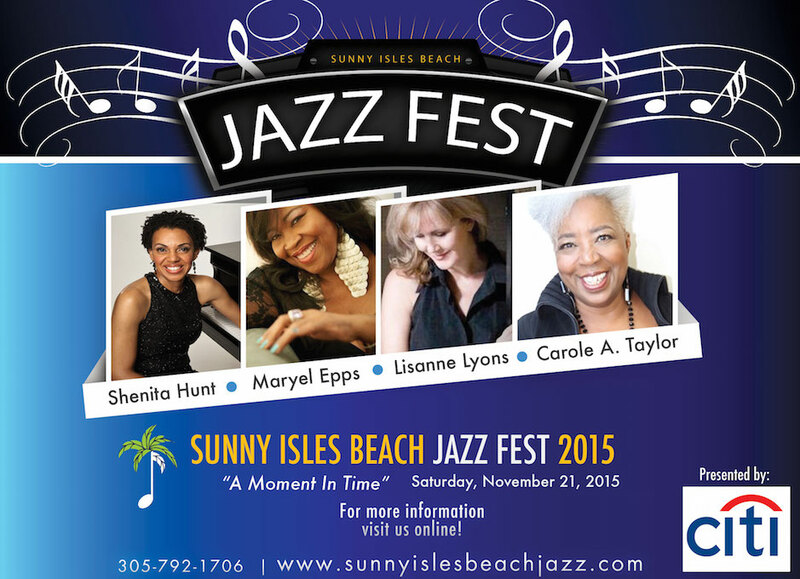 SUNNY ISLES BEACH, Fla., Oct. 29, 2015 /PRNewswire/ — Friday, Nov. 20 marks the return of the annual Sunny Isles Beach Jazz Fest. Visitors and residents of Sunny Isles Beach, Fla. will enjoy smooth tunes during this year’s program dubbed, “A Moment in Time.” The festival, now in its 8th year, brings together carefully curated food, drinks and jazz performances to the greater Miami area. The jazz celebration spans three starry nights with special events and performances.